This method of uninstallation is applicable only if you have installed Ubuntu using the Windows Installer. Just like the installation process, the uninstallation is also simple. 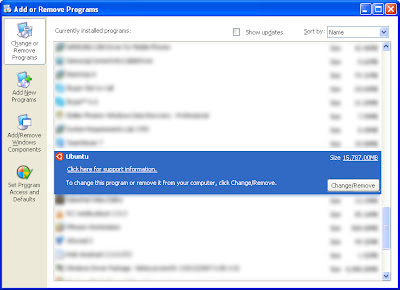 Or you can use the Windows Add or Remove programs.